Cedar sage is a perennial salvia native to the Edwards plateau, under ashe juniper trees. It gets its name, cedar sage, from the junipers we call “cedars” around here. So, it’s a great plant for seasonal flower color in those shady spots. It gets 1 to 2 feet tall. Since it’s native to the rocky plateau, it requires good drainage. 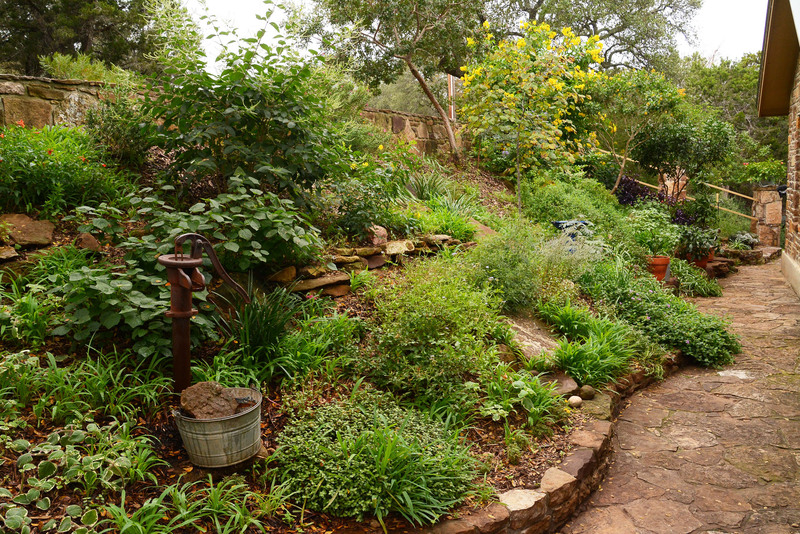 You don’t want to overwater this plant, especially if you have heavy soil. Cedar sage has beautiful heart-shaped hairy leaves. 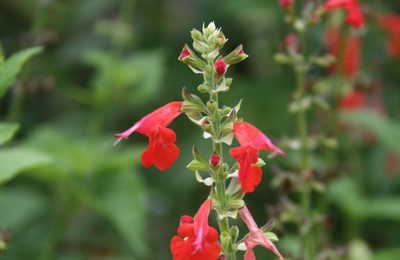 Its tubular crimson flowers appear in early spring through summer, attracting butterflies and hummingbirds. It dies back in winter, but returns in spring. It’s hardy to zero degrees, but we can lose them in harsh winters like 2010. It establishes itself quickly by reseeding under trees that aren’t heavily mulched or clumped with big leaves.